Brick Town Talk: Inspiration of the Day - 8/19/11 - LEGO Town, Architecture, Building Tips, Inspiration Ideas, and more! 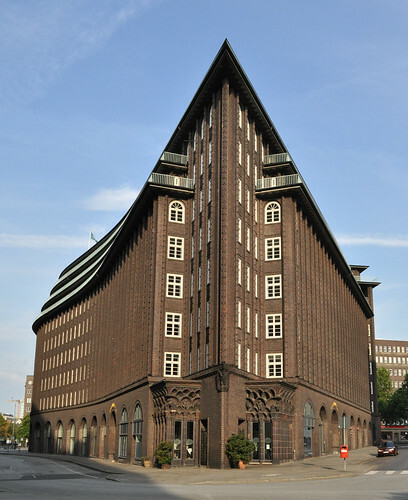 Hamburg, Germany - (BTT) When Johann Friedrich (Fritz) Höger completed Chilehaus in 1924, it became not just the poster child of German architecture and Brick Expressionism, but of Germany as a whole. Literally.